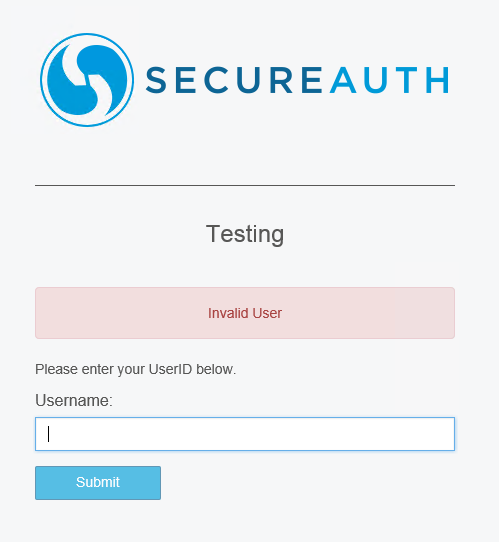 Description:Once functioning Active Directory SecureAuth realms, now display an Invalid User error upon login attempt, after an upgrade to SecureAuth version 9.x.x or greater. Cause:Theservice account in the realm's datastore is configured as DomainName/ServiceAccountName instead of the expectedServiceAccountName@DomainName format. DomainName/ServiceAccountName is an acceptable configuration format for pre-9.x.x SecureAuth versions, but all newer versions requireServiceAccountName@DomainName. Resolution: Restructure to service account format in the realm toServiceAccountName@DomainName. - Press the Test Connection button at the bottom of the Membership Connection Settings section. If it returns Connection Successful, the realm should now be fully functional.